Michael Munro earned his medical degree from Ohio University College of Osteopathic Medicine and did his undergraduate education at Wright State University and Cedarville University. Dr. Munro began his medical training by receiving a Registered Nurse degree at Cedarville University in Ohio. He completed an internship at the Grandview Medical Center, as well as, an ophthalmology residency at the Department of Ophthalmology, and the Grandview Medical Center in Dayton, Ohio. Dr. Munro was elected the Chief Resident of Ophthalmology and held that position from 2014 â€“ 2015. He was also the Lecture Presenter at the American Osteopathic Colleges of Ophthalmology and Otolaryngology Mid-Year and Annual Clinical Assembly from 2013-2015. 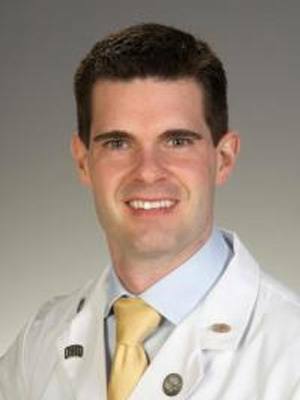 Dr. Munro was the 2015 Recipient of the 1st Place Resident Paper Award by the American Osteopathic College of Ophthalmology. The paper was part of research on cataract surgery techniques entitled “A Comparison of Two Axis Marking Techniques for Toric Intraocular Lenses”. Dr. Munroâ€™s surgical specialties include: refractive eye surgery; Cataract Surgery; Dropless Cataract Surgery; Lens implants; Glaucoma surgery Laser procedures; as well as, diagnosis and treatment of glaucoma, diabetic retinopathy and age related macular degeneration (AMD). In his free time he enjoys spending time with his wife and five children, fitness, hunting, fishing and golf.